Pleuropulmonary complications of collagen vascular disorders (CVDs) are protean, and include: pleuritis, pleural effusions, bronchiolitis obliterans (with or without organizing pneumonia), small airways disease, chronic interstitial pneumonitis/fibrosis, pulmonary hemorrhage, vasculitis, pulmonary hypertension, nodules, diaphragmatic weakness, and opportunistic infections or pulmonary toxicity due to immunosuppressive drug therapy [1–7] (Table 16.1). 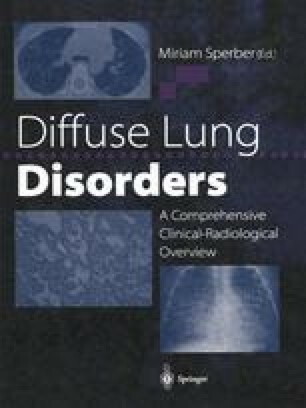 Given the emphasis of this book on diffuse lung disorders, we primarily focus on chronic interstitial lung disease (CILD), which may complicate any of the CVDs. We briefly allude to additional complications which are of special importance for some of the CVDs.